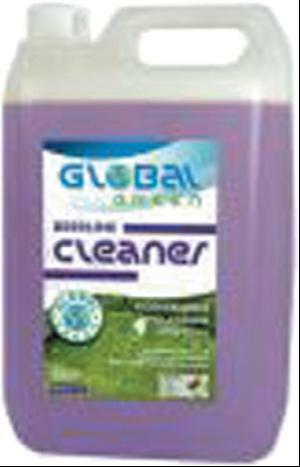 Northern Environmental has announced the launch in conjunction with Global Green of a new and totally chemical free range of cleaners. The new range includes the traditional cleaner sanitisers, degreasers and a washroom cleaner made from fruit oils, sugars and plant extracts.There is even a sanitiser and beer line cleaner which claims to be a first in the industry for chemical free products. The complex blend of natural ingredients has been fully commercially tested and works like normal cleaners and not like the bacteria based products which do not give an instant result. The cleaning products are in high concentration which will give up to 75 trigger sprays per 5L so a cost in use of only circa 40p. The beer line cleaner and sanitiser are ready to use formulas available in 5L.This helps keep the cost down and will allow businesses to use these normally harsh products without increasing expenditure. Customers are already enthusiastic about the products. "After my six years running MediClean, Northern Environmental is the first company to be able to provide us with green products for the commercial cleaning industry that actually work," says Diana Draglovic, operations manager, Mediclean. "Our particular favourite is the degreaser, it's amazing stuff." Contact the company for further information.